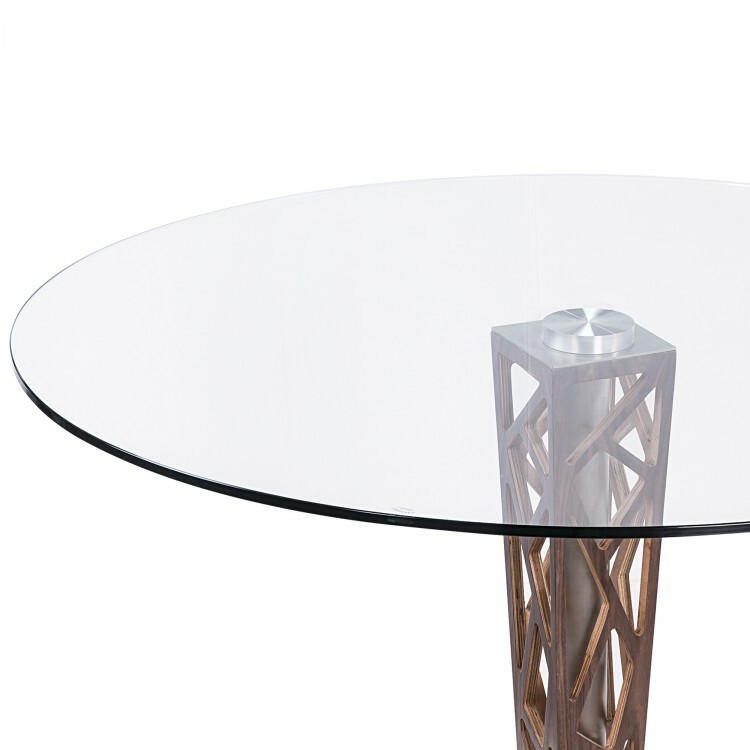 Description: The Armen Living Crystal Dining Table is part of a collection that is sure to be the most intricate furniture piece in your home. 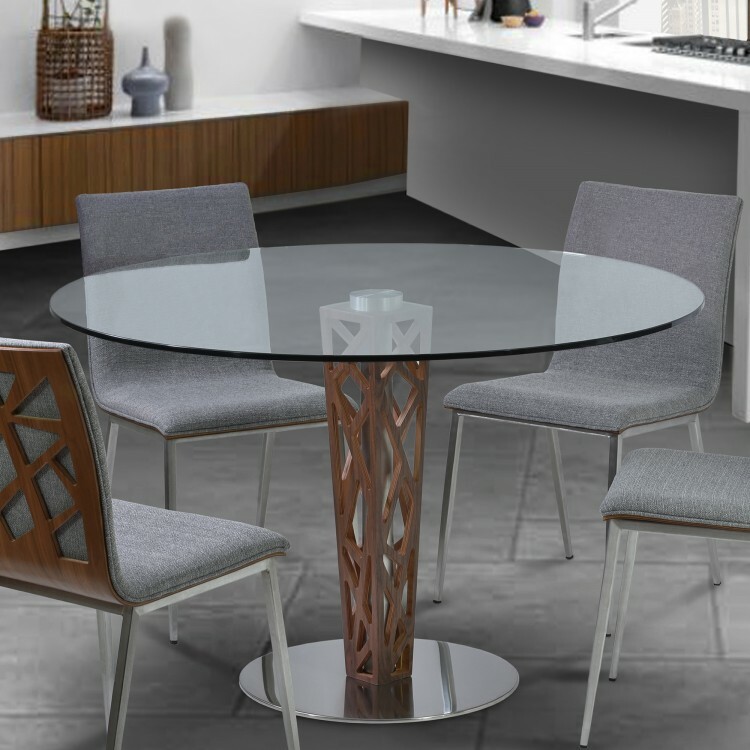 It is sleek and has a sculptured gray walnut veneer column base that will transform the look and feel of your dining room from a mere home space to a fulfilling dining and conversation experience. 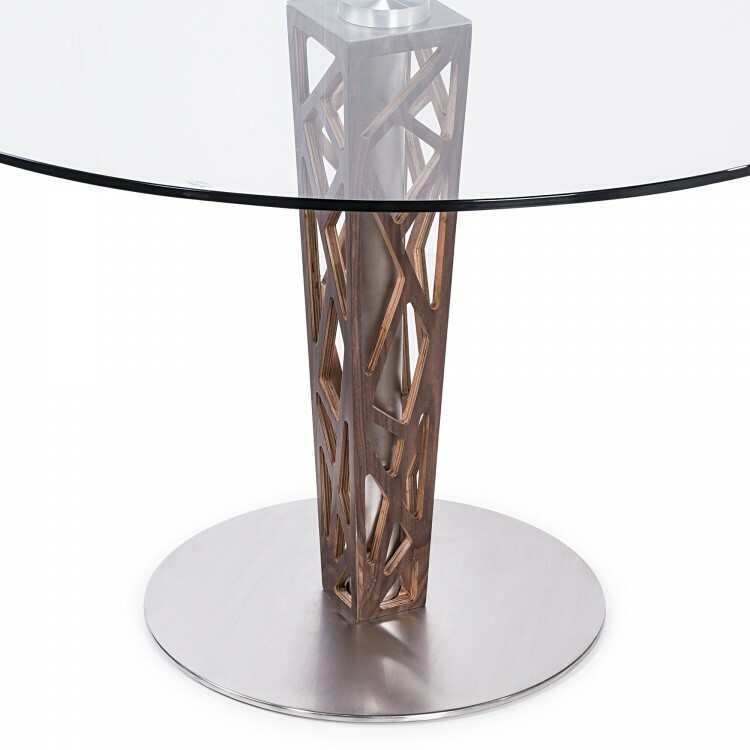 The Crystal dining table comes in a rich 48" tempered glass top on a sleek brushed stainless steel base. 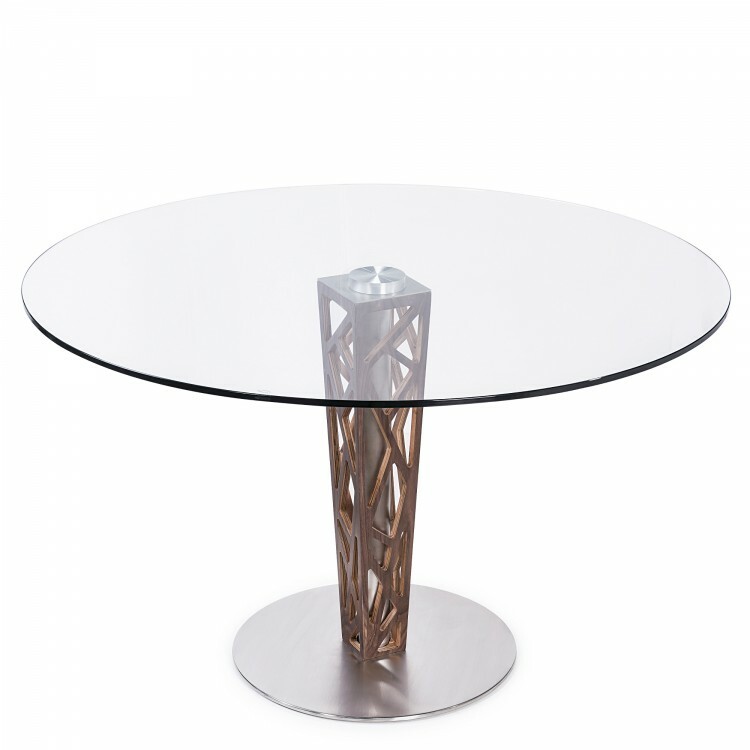 This modern dining table can be paired perfectly with our Crystal dining chairs or any other contemporary dining chair style.